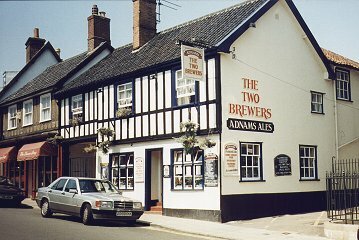 DISS BREWERY From some time after 1777 to sale 1823. At the Sessions held January 1829, George Chenery was sentenced to 14 days hard labour for stealing two pewter measures, the property of Robert Rainbird. To reopen Wednesday 16th May 2018 as the NUMBER 11 - Restaurant and Bar.